It is hard to improve an already really good recipe, but I think that this one has been improved! 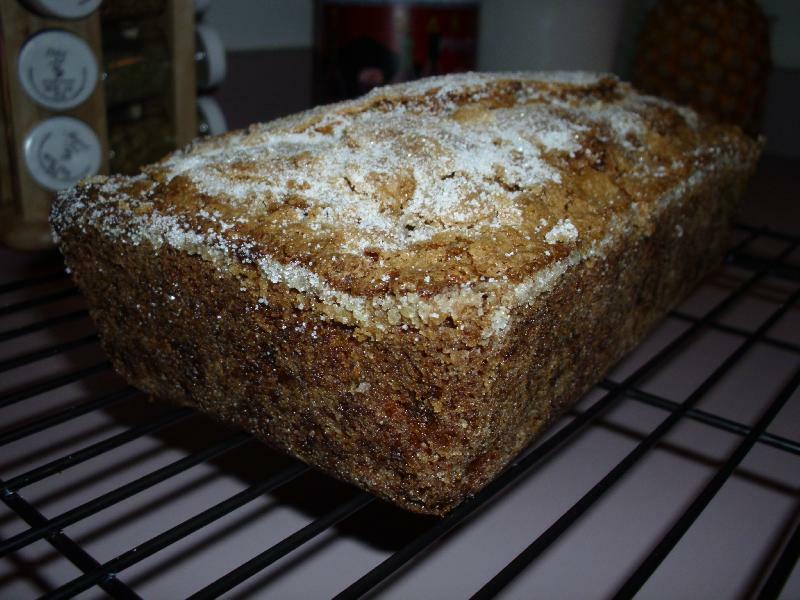 The first time that I made Easy Banana Bread my husband asked me what does it need (even though it was awesome). I immediately said sugar on the top and bottom. That was exactly what he was thinking. So this time when I made this bread I coated the loaf pan with sugar and I also sprinkled some on top before baking! It came out awesome! 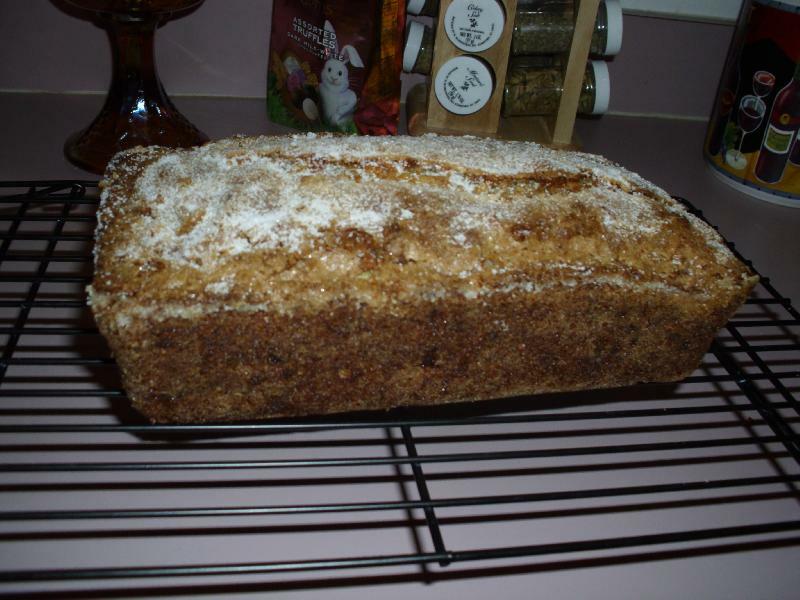 1 cup of sugar an additional 3 tablespoons for coating the top of the bread. I also used a little bit of sugar when I greased the pan. Grease the loaf pan with shortening. Sprinkle some flour and sugar in the pan. Shake around until well coated. Dump out the extra. Beat the egg, the miracle whip, and the bananas in a large bowl with a whisk until it is well blended. Mix the remaining ingredients in another bowl. Add this mixture to the banana mixture.Stir until just moistened. Sprinkle 3 tablespoons of sugar on top of the bread. Bake the bread for one hour or until a toothpick comes out clean. Cool the bread in the pan for 10 minutes. Then remove from the pan to a wire rack and cool completely.